If there is one type of hotel that is my absolute favourite, it’s hotels that have rooms with private pools. There’s just something so luxurious about a hotel with private pool in room Malaysia. We love the opportunity to take it easy, splash around and relax in complete privacy. If you are booking a trip and you are also a huge fan of booking a chalet with private pool in Malaysia then you will love this list! Here, I have the best options for a resort with private pool Malaysia from all over the country. So whether you are heading to Kuala Lumpur, Langkawi, the East Coast or Borneo, you can find the best hotel with private pool in Malaysia here! Langkawi is a well known destination which is home to an international airport and many domestic flights making it an easy place to visit. The Andaman Langkawi is one of the top places we have stayed in the world. The resort itself is beautiful and so are the private pool suites! The Andaman is located in a secluded part of Langkawi. You are surrounded by rainforest and on a beautiful, private beach which is well looked after. This is definitely the choice for people looking to get away from it all as it’s a bit of a drive from anywhere else. There are many room types including the choice of a suite with a private jacuzzi or (our personal favourite) you can have a condo with private pool Malaysia. These excutive pool suites are large – more like one bedroom apartments. They have a living area, big bedroom with king bed and a huge bathroom with great bath. Outside, they have a lovely terrace area complete with private pool. You can see part of ours pictured above. The pool is a decent size and a good depth. We loved the terrace area around it where you can relax in between dips. If you are travelling as a family, you can get pool suites with a fold out sofa bed in the living room. These suites comfortably fit a family of four. The Andaman is a luxury resort and has more on offer than just top class pool suites. The private beach is beautiful. There is a huge pool and, of course, the rainforest is right there to explore. You can even go on guided walks. There is also a coral nursery where you can learn about coral and snorkel. There is an unreal kids club (the Young Explorers Club) with a great program of events. There are many events and activities for adults as well. When you get hungry, there are four restaurants and several bars/lounges. There are many cuisines on offer and the food is fabulous. We particularly enjoyed the seafood. It is hard to beat the Andaman Langkawi if you are looking for a secluded, luxury beach resort where you can stay in a top-class suite with your own pool inside hotel room Malaysia. This is one of the best places we have ever stayed. The private pool suites and beach are excellent and we highly recommend it. Click here for more information and to see the latest prices or read our full review here. Located next door to the Andaman, this is another top class option for people who want serious, secluded luxury surrounded by rainforest by a glorious beach with maybe the best private pool villa in Malaysia. The Datai shares the Andaman’s private beach but is more focused on the rainforest and you will really feel like you have escaped it all here. Of the many room types, the best ones for people looking for a bungalow with private pool Malaysia are the one and two bedroom beach villas and the rainforest pool villa. You can choose whether to have a beach view or to be surrounded by rainforest. Either option will give you a spacious, private villa with a beautiful outdoor area complete with ten-metre pool. Rates include breakfast, afternoon tea, minibar and airport transfers. This resort is not lacking facilities either. You can enjoy the private beach, the three pools (one for adults, one for families and one for toddlers), water sports, health club and many nature activities both for children and adults. When you’re hungry, there are four restaurants. There are also two shops. One of the best parts about The Datai is that it only recently re-opened after shutting down for a complete refurbishment. So everything is extra beautiful and lovely right now. If you want the absolute top choice of resort with private swimming pool in Malaysia then this is it! You will really feel like you have escaped it all with fabulous, private pool villas in a stunning location. The downside is that this does cost and this is one of the most expensive options on this list. It also isn’t as kid-friendly as the Andaman next door with kids needing to keep quiet even in the family pool! However, if these aspects aren’t an issue for you, you will love it! Your final option if you are looking for a Malaysia beach resort with private pool in Langkawi is The Westin. This 5-star resort is a great option if you are looking for a private pool but don’t want to be in a secluded location. While it is still tucked away on its own private (and nice) beach, it is also just minutes drive from the centre of Kuah, the major town on the island and the jetty off the island. This makes it easy to get out and eat and shop elsewhere if you chose. There are many room types, but the best ones are definitely the holiday villa with private pool Malaysia. There are a range of villas from one to five bedrooms that all come with their own private pool. We particularly love the one bedroom beachfront pool villas. All villas have living spaces, beautiful outdoor areas with their pools, spacious bathrooms and bedrooms and are just beautiful. For the ultimate in luxury on a family trip, try the five bedroom villa. It’s huge with gorgeous views. You can have a quick look at a one bedroom villa below. It’s gorgeous! There are many facilities at this five-star hotel including a 500 metre private beach, four pools, a kids club, gym and spa. There are also many watersports, squash and tennis courts and, of course, multiple restaurants and bars. This luxury resort is perfect if you are looking for your own little villa with private swimming pool in Malaysia to escape the world while having all the facilities of a top hotel and a stretch of private beach. You are also just a short drive from a town with many eating options and shopping. Three other choices in Langkawi are the Four Seasons Langkawi, The St Regis and La Villa Langkawi. Read all our Langkawi private pool villa options here. The island of Penang has some fabulous resorts but only one has a private pool option. Read about it below! The Lexis Suites is located close to Penang International Airport at the south end of Penang Island. It is on the coast and has some lovely views. This resort with private pool in room Malaysia is perfect for private pool seekers as every suite has its own pool on the balcony along with a small sauna. There are two room types, executive pool suites and premium pool suites. Both suites are a great size, have two king beds and are nicely furnished with standard hotel amenities. The executive pool suites also feature partial sea views. The pools are on the small size – more like splash size – but they are still awesome to enjoy. There is a larger pool available at the resort as well as a gym, karaoke room, day spa and a toddler indoor playroom. If you are looking for a swimming pool inside hotel room Malaysia on your trip to Penang and don’t mind being a distance from the main tourist areas, Lexis Suites Penang is the perfect choice. There is maybe not a better place in Malaysia to feel like you have got away from it all while being so central to every facility you need. The Villas at Sunway Resort Hotel and Spa check every box! Sunway Resort is a well known and respected resort located both next to the awesome theme park, Sunway Lagoon, and the big shopping centre, Sunway Pyramid. There are many activities, restaurants and shops here so you have plenty of places to go and things to do without even leaving the site. However, despite all of this, The Villas are well presented and surrounded by foliage so you feel like you are in a more remote location. The Villas themselves are really well presented with bedroom, side living area and private outdoor terraces. Of course, this is also Malaysia accommodation with private pool which you can find on the terrace as pictured above. The villas are also home to luxurious king-sized beds, a rainforest shower and sunken bath tub. It’s going to be really hard to leave this villa. To top it off, there is a complimentary minibar, butler service, 24-hour room service and access to an exclusive lounge and cafe for The Villa guests. Daily breakfast and evening cocktails are also included. The Villas are the perfect choice for a romantic break especially if you value privacy and want to feel like you have left the city without needing to leave the city. The surrounding attractions are also a huge plus. Port Dickson is located a short drive from Kuala Lumpur airport making this the perfect destination for a break while in transit or as a holiday from Kuala Lumpur when you want a pool in room Malaysia. There are two great options for a Malaysia private pool villa resort here especially as both of these also have over-water villas complete with private pool on the water! You can also read more about these options here. An aerial view of the over-water pool villas. Just fabulous! As you can see from the photo above, this hotel not only has a swimming pool in hotel room in Malaysia BUT has the option of over-water chalets. That’s right – you can swim in your pool above the ocean! If for some reason this doesn’t appeal, you can also book a hotel room on land which has a private pool. Either way, the rooms are of a high standard and the pools are a decent size and lots of fun. You can see inside our executive pool villa in the following video. It is spacious with a kitchen area complete with some crockery, cutlery and a microwave and we loved the glass panel on the floor to see underneath. The free minibar is an extra touch and there is a lock high up on the door to the pool which is great if you are travelling with kids. The Grand Lexis is obviously located on the coast of Port Dickson. It is home to many facilities including some big general pools, spa, bar, restaurant, water playground and bike rental. There are other eating options close by if you would prefer to leave the resort. You can also enjoy activities both inside and out with a big games room and an inflatable maze, archery, segways and mini electric cars. There is also an indoor playground and karaoke room. This Malaysia pool villa resort is also a good price. It is much more affordable than most others on this list and, being only a fifty minute drive from KL airport, this resort is perfect for a Malaysia stopover. The Grand Lexis is perfect if you are looking for an in-room pool hotel Malaysia that is easy to reach from Kuala Lumpur or KL airport in a coastal area. The pools are very private, the rooms a good size and you have the advantage of being able to stay in a pool villa over the ocean. It’s hard to beat! Click here for more information and the latest prices! The Lexis Hibiscus is another option from the same hotel chain that also offers not only a private swimming pool hotel Malaysia but over-water chalet with pool Malaysia. This 5-star option is beautiful. It lives up to it’s name too with the over-water chalets forming a hibiscus shape! It has a world record for the most number of pools in a resort so it is very easy to ensure you get a villa with swimming pool in Malaysia here! The blue dots you see in the above picture are all pools. The villas themselves are well presented and spacious. You can see inside a premium pool villa in the following video. You not only get a pool on your balcony but a private sauna too! The resort itself has a lot on offer in addition to the lovely pool villas. It is home to JWater Park (read about this here) and many activities with both indoor and outdoor choices including a big, indoor kids club and games room. There’s even the option of a helicopter ride. When you get hungry, there are many restaurants including a mini food court area. Or you can get room service to your room so you don’t miss a second of your private pool enjoyment! The perfect choice if you are looking for a private pool villa hotel Malaysia especially if you would love to experience your own infinity pool over the water. This is the perfect choice if you are looking for an option like this near Kuala Lumpur that is a great price. Looking for more options in the western part of Malaysia with private pool? Here we have a private island option and ones in Malacca and Ipoh. If you are looking for the top private pool villas in Malaysia, the Pangkor Laut Resort is a great choice. Located on the private island of Pangkor Laut, there are multiple beaches, pools, squash and tennis courts. There are also many eating and drinking options with top rated food. The island itself is off the west coast peninsular between Kuala Lumpur and Penang, not far from Ipoh. It’s a 15 minute speed boat ride from the coast which runs four times a day. If you are after luxury and privacy along with your private pool, you are going to love the “estates” here. There are eight private estates which range from two to four bedrooms and can be surrounded by rainforest or right by the beach. They each have dining and living areas and access to a private butler and private chauffeur-driven car. The best part, however, is definitely the pools. They vary in size but are all beautifully designed along with landscaped gardens and private jacuzzis for the perfect retreat. If you want to escape it all on a private island in beautiful surrounds with a luxury villa and beautifully designed private pools, this is the perfect choice. This will blow your socks off – a hideaway retreat with private pools in every room! For a holistic experience, The Banjaran Hotsprings Retreat is a picture-perfect luxury wellness and spa retreat in Ipoh, 2-hours’ drive from Kuala Lumpur. This 5-star retreat, Malaysia’s first luxury natural hot springs wellness retreat, is situated in a 22.7 acre valley between towering limestone hills and features a combination of waterfalls, pristine rainforest, natural caves and geothermal hot springs. Awarded the TripAdvisor’s’ Travellers’ Choice 2019 Winner, this self-contained sanctuary has 45 luxury villas each with their own private pool and hot tub, located either in the secluded tropical garden, overlooking the lake or on the banks of the canal. Each villa contains a luxurious 7-foot king-sized bed to ensure a pleasurable sleep. In line with maintaining a restful and relaxing atmosphere for guests, the resort only allows children aged 12 and above. Designed with therapeutic value in mind, choose to spend your day in the geothermal hot springs dipping pools, thermal steam cave, ice bath, meditation cave, crystal cave, fitness centre or the freeform swimming pool. For an indulgence, try one of the 40 holistic treatments and therapies inspired by authentic Malaysian practices at the spa and wellness centre. The restaurants serve healthy cuisine with seasonal, low-fat, organic and whole foods. Only the freshest premium meat, seafood, poultry, and locally sourced fruits and vegetables are used for a well-balanced meal. The Banjaran has one of the most unique wine bars in the world. Jeff’s Cellar serves a wide range of wines within a limestone cave, where other-worldly lighting and natural water features make for an exceptional experience. Offering a holistic experience designed to rekindle romance, regain peace and relaxation and restore overall wellbeing, the Banjaran Hotsprings Resort is perfect for couples or friends wanting a relaxing getaway that includes a private pool. Not recommend for young families considering under 12’s aren’t allowed, and even the older ones may get bored from the lack of child-friendly activities. The Orchard Wellness & Health Resort is a family-friendly health resort in the UNESCO World Heritage Site of Malacca. You and your family will love having your own private pool in your luxury villa, surrounded by more than 128 acres of green flora, walking trails and hills and a huge tropical fruits farm. With four accommodation types to choose from, you’re spoilt for choice. The rooms can fit from two to four guests, including children. Rent a luxury villa and have your own private pool, with views of the lush green garden. There is even a man-made island with four cabins; the perfect private option for a small group. There are so many activities to choose from at The Orchard. Specialising in Relax, Reboot and Recharge wellness programmes, the wellness spa has a variety of treatments and facilities such as a Swiss steam room, jacuzzi, FIR medical sauna, cold plunge pool and Kneipp therapy pool. You can also enjoy a yoga, tai chi or fitness class, the Himalayan Crystal Salt room, the outdoor pool, karaoke, catch and release fishing and a safari night walk and bush BBQ. There is also an on-site restaurant. Take a guided tour through The Orchard Fruit Farm (with more than 400 types of tropical fruits) where you can sample some fresh fruit and see small wildlife such as deer, monkeys, squirrels, birds, bats, ant eaters, insects and more. The town of Malacca is a well-known tourist site, and has many shopping, dining and attraction choices to keep you busy. It’s great to see a wellness spa that is welcoming to families. I recommend this resort for families with older children, as there aren’t really any activities to keep the young ones occupied. The tropical fruit farm with its fruit sampling and wild animals is bound to be a hit with everyone. 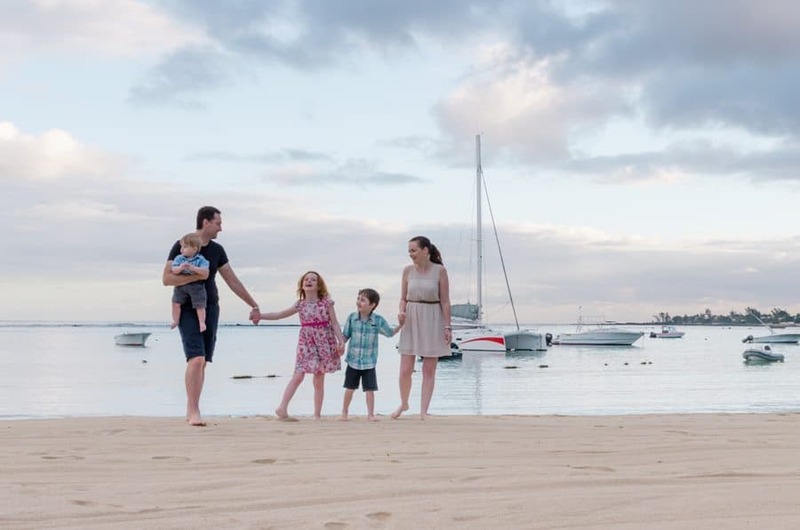 The perfect place for a chilled-out couple or family holiday. The east coast of peninsular Malaysia has a few private pool suites in Malaysia. We show you them below! Redang Island is a largely resort island located of the east coast of Malaysia. Redang, and the Taaras, are the perfect choice if you are looking to get away from it all at a truly beautiful location. And, if you are looking for a hotel resort with private pool Malaysia, you are in luck! The 5-bedroom villa comes complete with a big, infinity pool. It’s divine! This private villa is located on a cliff top and has five bedrooms and both interior and exterior living and dining rooms. It has its own elevator, gym and, of course, the infinity pool. It also has its own butler, breakfast chef and security. The resort itself is situated on a beautiful beach with a choice of dining and drinking options, a pool, gym, day spa, water activities and many other activities. If you are looking for a luxurious island break with some friends or family, it’s hard to beat this resort and the 5-bedroom villa with its beautiful infinity pool. Note that it does shut over the monsoon season approximately November to January. 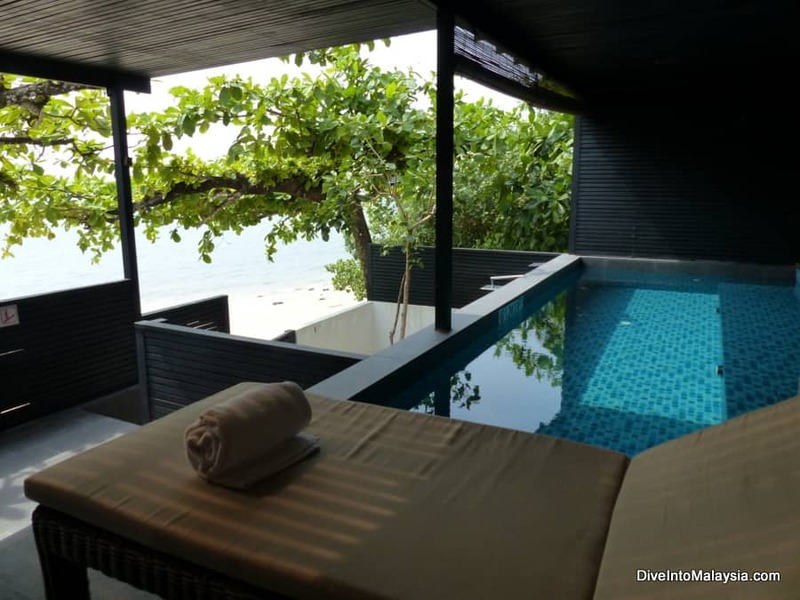 Another small holiday resort with private plunge pools is the LaVilla by Holiday Villa on the East Coast of Peninsula Malaysia. Positioned on the beach of Cherating, its villas are secluded and private, surrounded by beautifully landscaped gardens. It is a 40-minute drive from Sultan Ahmad Shah Airport and a 4-hour drive from Kuala Lumpur. Here at LaVilla you don’t need to make the hard choice of ‘Will I or won’t I?’ when it comes to booking a villa with a pool, as every villa comes with its own private plunge pool. All you need to decide is if you would like a one or two-bedroom villa, fitting between 4 to 5 people. Each villa includes a living room, air con, private bath and coffee and tea making facilities. LaVilla loves its karaoke. You can either get up in front of the crowd in the pub or book a private room to belt out the tunes. To get over the stress of hearing your favourite song butchered at karaoke, spend some time at Amoaras Relaxation Spa and get a Balinese massage or spa treatment, or workout in the fitness centre and de-stress in the sauna. The Beach Restaurant at the resort will tempt you will its buffet breakfast and menu of international cuisines served by the beach. If you’re looking for a beautiful villa that is by the beach and also has a private pool, LaVilla is the place to go. Other than the pool, spa, fitness centre and restaurant there are no facilities on-site. Some reviews say that the resort and rooms are starting to look a little dated and is priced a bit too high for how it looks. The Japamala Resort on Tioman Island is a rustic eco-luxe resort set within 11 acres of lush tropical rainforest. Catered and built for couples, children under the age of 16 are not allowed. The private plunge pools that are available with selected rooms are sure to make your holiday romantic and private. 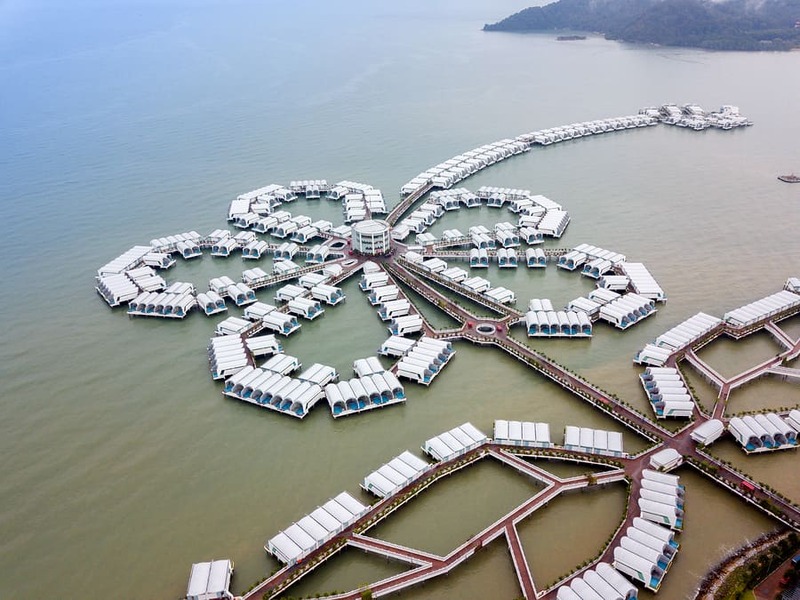 The resort can be reached by a 2-hour public ferry from Mersing Jetty from which there are good connections from Singapore, Kuala Lumpur and other cities in Malaysia. The wooden chalets, hillside sarangs and beachside villas at Japamala Resort mirror their surroundings in their décor and design. Choose from 7 types of rooms, each with a different view type. Each room includes rain showers, wi-fi access, air con, a mini bar and espresso machines. Tioman Island is part of a large marine park, and it is the perfect place for a scuba dive. There are a variety of boat excursions to nearby islands where you can visit villages, go fishing or try snorkelling. For a bit of romance, take the 10-minute walk to an elevated vantage point, sit back with a drink and enjoy the sunset in all its glory. The Japamala Resort is truly magnificent with its plunge pools and decks, and is designed to reward you with a sensual and memorable time away. It’s not the type of place to go if you are wanting to have a big family resort adventure, especially since guests under 16 years old are not permitted. This place is all about relaxation and serenity. Heading to eastern Malaysia? Don’t worry. Borneo has some great private pool resort Malaysia options too! Find them below. When it comes to resorts with a swimming pool in room, Malaysia has plenty to choose from. If you’re looking for a villa in Sabah, you can’t go past Bunga Raya Island Resort & Spa, located on Gaya Island. This island resort not only offers a villa with a plunge pool, but being surrounded by sandy white beaches and lush jungle, the location is beautiful too. This Malaysia island beach resort has 48 spacious hillside villas which are basic yet include all the modern day comforts. The plunge pool villas are a spacious 87smq and have spectacular views of the South China. The villas also include air conditioning, tea and coffee making facilities and TV. Villas can accommodate 1-2 people, right up to the 3 bedroom villas which can accommodate larger groups. The resort’s facilities include a swimming pool, on site restaurant, a day spa, gym. Other activities include kayaking, snorkelling and jungle trekking. Bunga Raya Island is relatively easy to reach being just 25 minutes by boat from the Jesselton Point Ferry Terminal, which is 11 kilometres from the Kota Kinabalu Airport. If you’re looking for a villa located on a secluded tropical island as well as having your own private swimming pool, you really can’t beat the Bunga Raya Island Resort. The only downside in my view is that given the secluded location, there is no other option when it comes to dining and you will need to eat all meals at the resort. If you’re looking for an apartment with private pool, Malaysia has several options. The beautiful Borneo Beach Villa in Koto Kinabalu is located on 6 kilometres of sandy white beach and features villas with their own private pools. Located 36 kilometres North East of Kota Kinabalu, it is 45 minutes by car from Kota Kinabalu International Airport. The accommodation is your choice of a Pool Villa (two or three bedrooms with backyard pavilion) or a Spa Suite (one or two bedrooms). A self-catering service apartment concept, all units provide spacious, furnished and comfortable bedrooms, living room, dining area, two separate bathrooms and a fully-equipped kitchen. Every unit has a pavilion/balcony and Jacuzzi (and steam bath in the Spa Suite), while the pool villas each have their own private lap pool! The resort also has an outdoor pool. However you will have to go to the nearby Lagoon Park if you wish to do any water sport activities or cruise adventures. If you’re in need of some retail therapy, three popular shopping centres are within 30 minutes’ drive from the resort. The resort is close to the hustle and bustle of Kota Kinabalu, with its choice of shopping centres, sight-seeing and local delicacies. It makes for a great base camp and place to relax when you feel like spending the day ‘at home’ in your private pool. The only downside is that resort itself doesn’t have anything in the way of on-site activities, water sports, tours or restaurants, but these can all be found close-by. What’s your top pick of a room with private pool Malaysia? You can also find the best family hotels in Malaysia here or the best beach resorts in Malaysia here. Or you can find our list of the overall best resorts in Malaysia here.